How Do You Find the a, b, and c Values of a Quadratic Function? 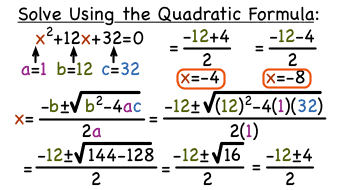 When you're dealing with quadratic equations, it can be really helpful to identify a, b, and c. These values are used to find the axis of symmetry, the discriminant, and even the roots using the quadratic formula. It's no question that it's important to know how to identify these values in a quadratic equation. This tutorial shows you how!